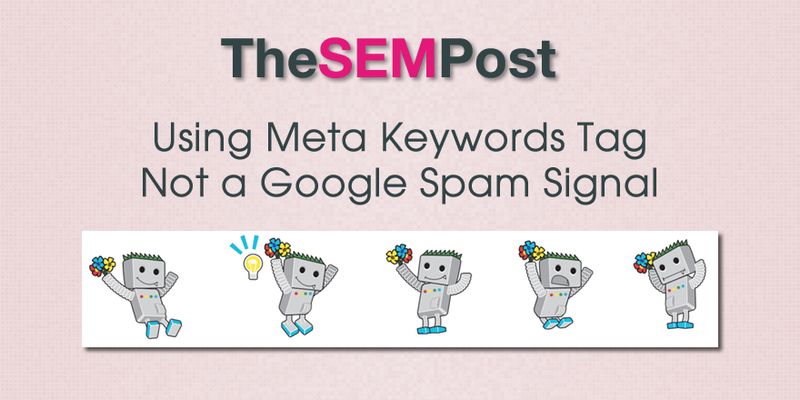 We have known for some time that Google ignores keywords placed within the meta keywords tag, something Google officially announced back in 2009, as it was something that was heavily spammed many, many years ago. But what about the possibility of Google using it as some kind of spam flag, in a reverse use of the meta keyword tag? After all, many times we do see the meta tag being used, they tend to be a pretty spammy list of keywords. This isn’t really surprising. There are still various SEO tools and plugins that add meta keywords and definitely lots of bad SEO advice floating around that says meta keywords need to still be added to any page “for Google SEO”. And some of Google’s own properties also use the meta keywords tag, such as YouTube. Illyes does add that everything SEO-wise can’t be a negative factor, and meta keywords would definitely fall into this scenario. Some search engines still use the meta keyword tag to some degree, including Baidu and Yandex, even if it isn’t weighted aggressively. So having a negative ranking factor for something that is still used by others wouldn’t make much sense, especially when it is something Google can simply ignore in their search algo. We can't really use everything as a negative factor. You have a chicken, negative factor. You like broccoli? Negative factor. Eggplant? Ugh! So, meta keywords are not required for Google, but you don’t have to worry about using them for search engines could somehow reflect negatively on your site when it comes to Google SEO.